Charles Gabriel provided the arrangement for this hymn written in 1911 by C. M. Battersby, which is based on the bible text, Psalm 19:12-13, "Forgive my hidden faults. Keep your servant also from willful sins." It has been recorded by numerous singers, including Jim Reeves, Mahalia Jackson and The Blackwood Brothers. Homer Rodehaver's original from 1915 was released on the Victor label. Rodehaver was born on 4 October 1880 in Cinco Hollow, Ohio. 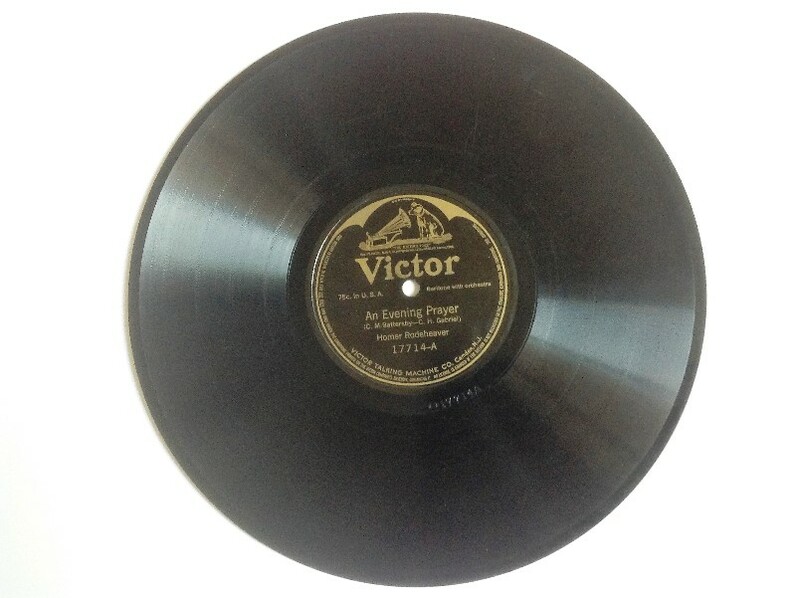 His recording career began in 1913, with the Victor Talking Machine Company, though during his career he released tracks on some eighteen different labels. Indeed, it was in September 1913 that he recorded the original version of "An Evening Prayer," though the track was not released until March 1915, on Victor 17714. Homer Rodeheaver died in 1955.